Mould and mildew are bad for your health, and so should be removed quickly. Our guide will help you identify, remove and prevent mould and mildew, for a safer, cleaner home. Mould and Mildew are both part of the fungi family. They produce spores that allow them to spread and reproduce. It is these spores that can be bad for our health and potentially life threatening to anyone with asthma or mould allergies. 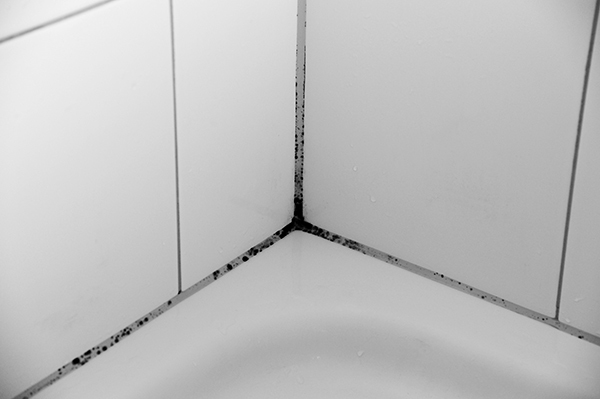 Mould and mildew thrive in warm, moist and humid environments, which means bathrooms and kitchens are usually the most commonly infected areas. What is Mould & Mildew? Mould and mildew are fungus cousins and have similar features: both like moist, warm areas; can grow on a multitude of surfaces; and of course they are both unwelcome fungi that no homeowner likes to see in their home. Mildew is a surface fungus that can be easily identified as a flat patch of grey or even white fungus lying on the surface of a moist area. Mildew has a nasty, musty smell and a powdery texture. Mould can be black, brown, blue, green and even yellow in colour, and is often the result of a much larger fungus infestation. It can appear fuzzy or slimy in texture. Mould is far more dangerous than its mildew cousin, but both can be hazardous to your health. Did you know? Not all mould is bad. Penicillin, one of the most important antibiotics ever developed, was derived from penicillicum mould. Although, we wouldn’t recommend growing your own at home; best to leave that to the pharmaceutical scientists! How Does Mould & Mildew Grow in the Home? Mould and mildew spores can easily travel through the air and settle on any home surface. They gravitate towards any surface with excess moisture or water build up. The excess moisture can arise from leaky fixtures, flooding, bad drainage, poor ventilation, condensation or high humidity. Any source of moisture makes ideal conditions for mould or mildew. Top Tip: When cleaning mould and mildew wear a facial mask to prevent breathing in mould or mildew spores. Mix a solution of equal parts bleach and water in a spray bottle, and spray it over the infected surface. Let it sit for 15 minutes. This is the part where you will need to use some elbow grease… Using a stiff bristled brush, scrub the affected area. Rinse thoroughly and let dry. There are various products on the market specifically formulated for removing mould and mildew that can be used instead of bleach. Remember never to mix cleaning solutions together as this can cause dangerous chemical reactions. Always follow the instructions on the packaging. Wear rubber gloves and old clothes to prevent skin irritation and stains or damage to your good clothes. Make sure the room is well ventilated. Prevention is better than cure! Here are a few tips and tricks for keeping mould and mildew at bay. Remove excess moisture from the air by using a moisture absorber such as the Unibond Aero 360° Pure Moisture Absorber System. Fix all moisture problems in your home. Repair leaky roofs and plumbing fixtures. Ensure bathrooms and kitchens have sufficient ventilation. Don’t let wet items linger. Avoid leaving damp towels on the floor or in laundry baskets for more than 48 hours as this is all it takes for mould and mildew to develop and find a new home. 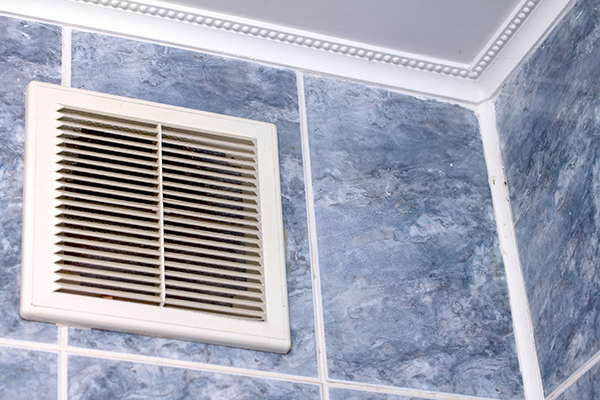 Consider installing an electric extraction fan to remove excess moisture during showering or bathing. If you haven’t got a fan, open a window when showering. Paint areas prone to mould and mildew with an anti mould and mildew paint. This specialised paint contains a biocide that will prevent mould or mildew forming on its surface. Make sure not to paint it straight over mould or mildew as this will render the paint ineffective. Adding insulation to cold surfaces, such as exterior walls and floors, will reduce the build-up of condensation and therefore prevent mould and mildew. Increase air circulation in your home. Open windows regularly to allow fresh air to naturally ventilate your home. Vacuum and clean regularly. This will help remove surface mould and mildew before it gets a chance to settle, grow and spread. For more cleaning tips, visit our helpful cleaning guide: Top 10 Spring Cleaning Tips, or if you’re not sure what you need to start cleaning then check out our: Top 15 Products for Your Home Cleaning Kit.